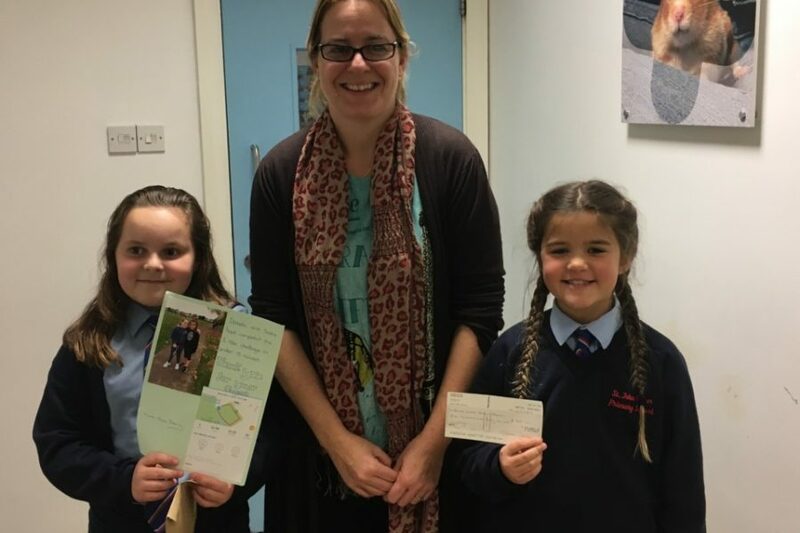 Two of the children who attend our Afterschool Club at St John Fisher RC Primary School, Wimbledon have been busy fundraising for their local Blue Cross animal hospital in Merton. “On Monday 14 November we visited the Blue Cross Animal Hospital in Merton to give them the money that we had raised through donations, and sponsorship for our run. Maria, the hospital manager, gave us a tour of the hospital and we were allowed to listen to a cat’s heart beat and look at it’s X­-rays. We thought that was really interesting and really hope that the cat recovers quickly. Then we went upstairs and saw where the cats and bunny rabbits were kept in recovery and we also saw the operating tables.